These guys know how to solve real estate problems! 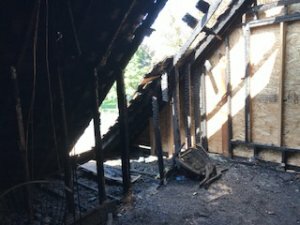 I inherited a house from my father after he passed away; however, it had a major fire while we were deciding what to do with it. I talked to a few real estate agents and they didn’t want to list the house in its current condition and asked me to repair it. I live 7 hours away and did not have the expertise or desire to fix it. So I called I Will Buy House to see if they would be interested in a fire-damaged house. They came in, inspected the house, spoke with the fire department, and bought it in 20 days. During the entire buying process, they kept me and my attorney informed. These guys know how to solve real estate problems!